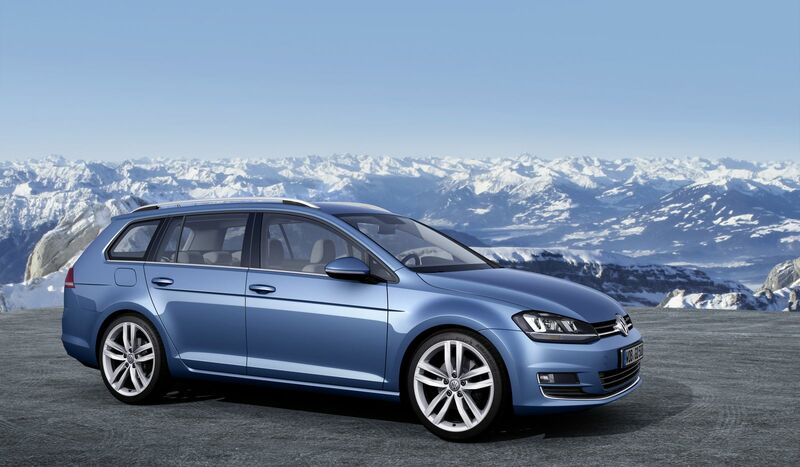 Volkswagen has unveiled its latest and perhaps last Golf model for the 2014 model year. It’s called the Golf Variant (wagon) and it’s more exciting than it looks. Based upon the Mk 7 Golf, the new Golf Variant is stylish, relatively lightweight, and – most importantly – eco-friendly. The Golf Variant has more engine options alone than some automakers offer over their entire lineup. Most notably, however, is the TDI BlueMotion model. With a 110-horsepower engine and six-speed manual transmission, the Golf Variant is rated to achieve 71.3 miles-per-gallon, which is astounding for a five-seater, family-hauling wagon. Interestingly, each Golf Variant is fitted with Start/Stop technology, which improves fuel economy by four percent and a battery regeneration mode, which stores kinetic energy in the form of electricity onboard for later implementation. Producing 85, 105, 90, 122, and 140 horsepower respectively, the other gasoline engines include a 1.2-liter, 105-horsepower TSI BlueMotion Technology model capable of 46 mpg and a top speed of 120 miles per hour. On the inside, Volkswagen offers three infotainment screens: a 5-inch, a 5.8-inch, and an 8-inch unit. All displays are TFT touch-screen units. Users will be able to swipe, with the drag of a finger, through different screens and infotainment options, just like many of today’s smartphones. The Golf Variant will go on sale in Europe later this year. We expect the wagon version of the Golf to go on sale here in the U.S. as the new Jetta Sportwagen sometime in 2014.